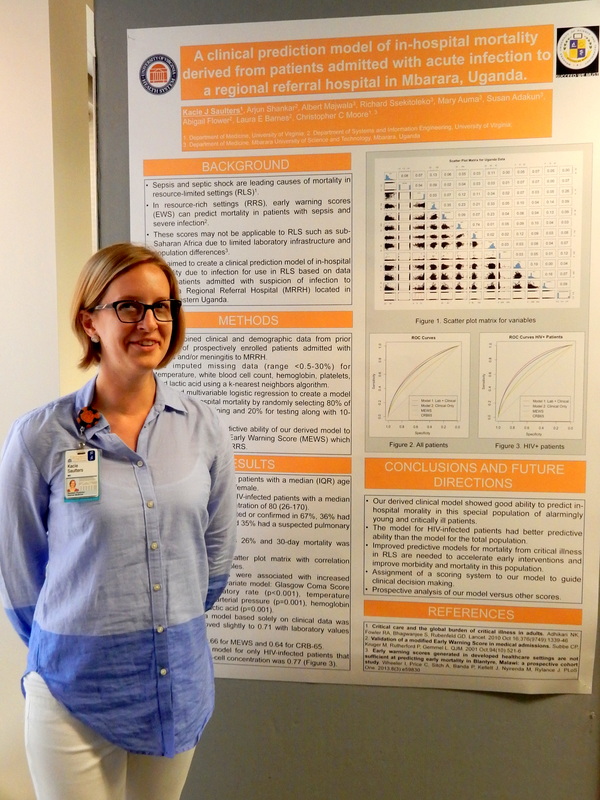 Basic, translational, clinical, and epidemiologic investigations are vital activities in the UVA Department of Medicine. Of the 281 faculty in the Department of Medicine, more than a third are heavily involved in research and are on investigative research tracks. 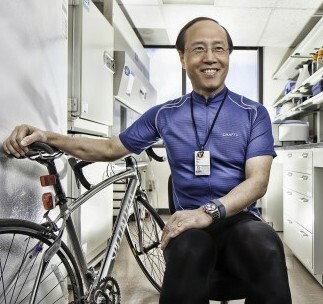 In FY 2015, total grant support for department faculty exceeded $41 million, with roughly 54% coming from the National Institutes of Health, 26% from foundations (notably several large awards from the Bill and Melinda Gates Foundation to the Division of Infectious Diseases), 13% from industry, and 7% from other government sources. DOM investigators had 69 NIH-funded grants in FY15, including 33 R01s, 9 K (career development) awards, and 6 training grants. 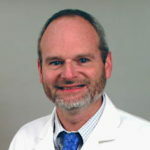 Every May, the Department of Medicine hosts the Carey-Marshall-Thorner Research & Scholars Day (named for three eminent physician-researchers at UVA), an occasion which provides DOM residents and fellows with a forum for sharing research and ideas and making interdisciplinary and cross-specialty connections. Go here to learn more. The Department of Medicine’s commitment to research that advances the medical and biomedical sciences is facilitated by a number of UVA institutional resources. These include the School of Medicine’s Office of Research Core Administration, which supports more than 15 research cores. The cores provide SOM investigators access to a wide range of technical and analytical services and sophisticated instrumentation. A list of equipment available in the research cores is available here. 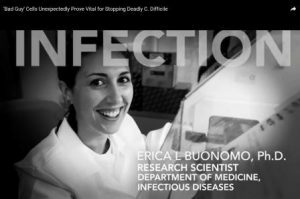 Postdoc Erica Buonomo talks about her research on immune cells and C. difficile in this video. 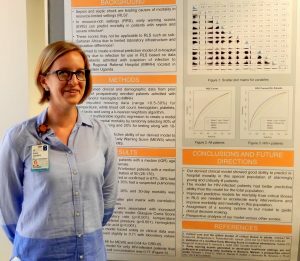 Resident Kacie Saulters and her prize-winning poster at DOM’s annual Research & Scholars Day.